Freshwater turtles are facing more and more devastating overharvest in the United States for sale to the pet industry and food and medicinal markets in Asia. Beautiful map turtles are already endangered, and unregulated international trade is rapidly destroying them and other native turtles. Protection under the Convention on International Trade in Endangered Species would put limits on international trade and monitor their populations. In response to a petition filed by the Center for Biological Diversity, the U.S. Fish and Wildlife Service recently announced that it may propose 17 species of U.S. freshwater turtles for CITES protection at the next meeting in Thailand. The agency has invited the public to comment on which species should be listed. Please take action now to tell the Service to protect U.S. freshwater turtles from falling victim to an insatiable international market. "Release Yemeni journalist Abdulelah Haider Shaye"
I really think this is an important cause, and I'd like to encourage you to add your signature, too. It's free and takes just a few seconds of your time. We pushed them to the brink, but the House Republicans rammed through CISPA this afternoon, ahead of schedule. Let's make sure it dies in the Senate. CISPA would give the government and corporations vast new powers to track and share data about Americans' Internet use. 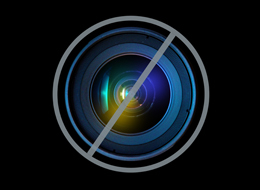 -Amendments were adopted that made CISPA (marginally) better. -Earlier this month CISPA was supposed to sail through, but we helped foment opposition, and the vote was far closer than anybody could have imagined even a couple of weeks ago. -Most Democrats held firm in opposition, and more than two dozen libertarian-leaning Republicans defied their leadership and voted no. -Most importantly, President Obama has threatened to veto CISPA. The Senate will consider cyber security legislation in the coming weeks. Let's turn up the heat right away: Tell the Senate to reject CISPA and any and all legislation that doesn't respect privacy and civil liberties. We need to speak out today to stop a bill that would greatly expand the power of the federal government and big corporations to spy on us as we use the Internet. The folks behind the bill claim that national security interests make this surveillance necessary. Make a call today to send a clear message that we shouldn't sacrifice our civil liberties in the name of national security. CREDO Action has made a tool to help people who wish to contact their congressmen and oppose #CISPA. This is a great action. Do it now, instead of later. If you would like to do more to fight #CIPSA, there is a great action list at Reddit. I would recommend doing all the actions. We need to stop this horrible proposal, and also stop every cybersecurity bill that threatens our rights and privacy. Polar bears are in big trouble from accelerating Arctic warming and a vanishing sea-ice habitat. This year's skyrocketing fur prices and trophy hunting are also taking a devastating toll. Polar bear sport-hunting and the trophy trade are prohibited in the United States, but the international trade in polar bear parts is alive and well. The U.S. Fish and Wildlife Service is now deciding whether it will move to protect polar bears under the Convention on International Trade in Endangered Species. At the last round of CITES negotiations, the Service led the charge to ban all commercial trade in polar bear parts -- a move Canada blocked. The agency is now "undecided" on its position for the upcoming CITES meeting. Canada still kills around 500 bears annually and leads the world in exporting rugs and hunting trophies. As polar bear numbers plummet under pressure from climate change, the Canadian territory of Nunavut quadrupled its hunting quota this season. Tell the Service to take a stand against this excessive killing, stop the international trade in their parts and lead the world in polar bear protection. We're making a big difference: As lawmakers get ready to vote on CISPA, the bill's sponsors have agreed to amend the legislation to constrain what the government can do with the information it uses CISPA to collect. But those changes don't go far enough. We need lawmakers to support any and all amendments that would protect Internet users' privacy AND to vote against CISPA as a whole. CISPA would obliterate any semblance of online privacy in the United States. You can read more about it here. Many lawmakers share our concerns about CISPA and will introduce amendments to minimize its negative impact on ordinary Internet users. We need to get their backs and encourage others to support their efforts. Michael wants you to take action on "Stop the Coast Guard's Butchering of Live Goats"! Hi, I signed the petition "Stop the Coast Guard's Butchering of Live Goats". I'm asking you to sign this petition to help us reach our goal of 5,000 signatures. I care deeply about this cause, and I hope you will support our efforts. ThePetitionSite.com provides tools and empowers individuals to make a difference and effect positive change through online activism. Get connected with the causes you care about, take action to make the world a better place, and start your own petition at http://www.ThePetitionSite.com! Our privacy is up for a vote this week. In an attempt to address cyber threats, the US House will be voting Thursday on a bill that would allow for the unlimited sharing of personal data amongst and between private companies and the government, without a single safeguard for privacy or civil liberties. The Cyber Intelligence Sharing and Protection Act is a serious threat to our privacy, and if passed could have a ripple effect across the world. But there is still time to stop it. We need to convince technology companies supporting CISPA that protecting us against cyber threats does not have to come at the expense of our privacy. Millions of acres of public land in Colorado, Utah and Wyoming are being considered for oil-shale and tar-sand development, the dirtiest energy in the world. We need your help to tell the Bureau of Land Management to reject this outrageously destructive proposal. Oil-shale and tar-sand development would consume vast amounts of Colorado River water, which is already running dry. It would destroy thousands of acres of habitat, threaten endemic plants with extinction and accelerate global warming with massive energy inputs and CO2 emissions. Between worsening global warming and the extinction crisis, it's hard to imagine a worse use of public land. Take action today to tell the BLM to reject this absurd proposal, which flies in the face of sound fiscal, social and environmental policy. Keeping federally subsidized student loans affordable for the families who need them most will provide millions of working class Americans with much needed economic relief. Senator Jack Reed (D-RI) has introduced the Student Loan Affordability Act (S. 2051) which locks in the federally subsidized student loan rate at 3.4 percent and prevents it from doubling this summer. It is urgent that we organize in support of Senator Reed's legislation today to make sure that interest rates do not double on July 1. The more Senators who come out in support of S. 2051 today, the more likely it will be that Congress acts on this issue before interest rates double this summer. I just signed a petition asking my senator to stop Republicans from doubling the interest rate on student loans by cosponsoring the Student Loan Affordability Act (S.2051). Can you join the cause today? Thanks for taking action. It’s been two years since the tragic oil rig explosion that killed 11 men and initiated the worst oil spill in U.S. history. But to date, no comprehensive oil spill legislation has reached President Obama’s desk. Meanwhile, 200 million acres of federal water have been auctioned off to deepwater drilling corporations including BP. Join me in urge our representatives to take the lead on passing legislation that reflects the recommendations of the oil spill commission. What costs $1.5 trillion and does nothing at all? The F-35 Joint Strike Fighter is the perfect example of waste and abuse in the military budget. After ten years and billions of taxpayers' dollars, we have little to show for the Pentagon’s most expensive program in history except money down the drain. It’s time to end the F-35 now. The F-35 came with the promise of affordability, but current estimates place the lifetime operational cost at $1.5 trillion, more than three times the initial estimate of $420 billion. That’s $18,439.33 per taxpayer! And don’t expect that number to go anywhere but up. Cutting the F-35 is a no-brainer and could save up to $600 billion over the next decade without undermining our national security. 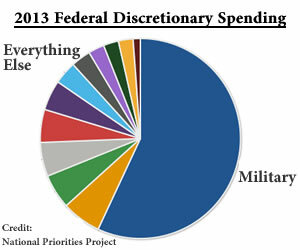 But Republicans in Congress are fighting tooth-and-nail to prevent any cuts to the military budget whatsoever. Will you sign our petition urging Congress and the President to end the F-35 program now? We know that public pressure works. Back in 2009, we led a successful campaign to defeat the F-22, another plane we couldn’t afford and didn’t need. Now we’re back again to defeat the F-35. But we’ll only be successful if we show Congress where the American people stand. Will you tell Congress and the President to stop funding the F-35 now? Have you heard about the Iran Pledge of Resistance? I know that you are as concerned as I am about the urgent need to prevent the war with Iran and to re-orient our country toward peace and justice. I just signed up for the Iran Pledge of resistance to help prevent a war with Iran, and I hope you will join me! The Iran Pledge of Resistance (IPOR) is a coordinated grassroots campaign to build an emergency response network capable of preempting any escalated U.S. intervention in Iran or the Middle East. Go to iranpledge.org to find out more and take the pledge. Working together, we can be a powerful force capable of changing the course of history. Michael wants you to take action on "Protect the Western Arctic Reserve From Big Oil"! Hi, I signed the petition "Protect the Western Arctic Reserve From Big Oil". I'm asking you to sign this petition to help us reach our goal of 20,000 signatures. I care deeply about this cause, and I hope you will support our efforts. Facebook page names. If people would find that helpful, just ask. Let's give these people TURBULENCE! Apple, Amazon and Microsoft are leaders when it comes to innovative technology. While their products are cutting edge, their giant data centers use the oldest, dirtiest power source on the planet -- coal. "Total outstanding student loan debt in America is expected to exceed $1 TRILLION this year. Millions of hardworking, taxpaying, educated Americans are being crushed under the weight of their educational debts, while the economy continues to sputter. Support a REAL economic stimulus and jobs plan. Support the Student Loan Forgiveness Act of 2012 (H.R. 4170)." Our Taxes Pay for What? The Arctic Ocean has never been drilled for oil, not even under George W. Bush. But at the end of March, the Obama Administration approved Shell Oil's inadequate Spill Plan for the Beaufort Sea, and right now, Shell's Kulluk drilling rig is getting towed up the pacific coast. This is the eleventh hour. Drilling in these pristine waters could begin as soon as this summer. Before it does, President Obama still has to approve the final Permit to Drill, and a decision could come by the end of this month. 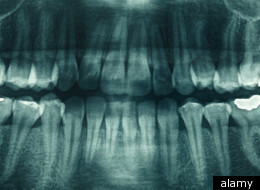 It is my recollection that dental X-rays are also linked to an increased incendence of mouth cancer. One would not be surprised to see an increase in skin cancer as well. I for one have more brown spots in the cheek area, where the dentist aims the X-rays, indicating increased melanization. This should correlate well with the number of dental fillings as well. We have yet another good reason to practice good detnal hygiene. No one should say that the TSA X-ray body scanners are harmless, just because everyone gets a dental X-ray. That is clearly false. The Cyber Intelligence Sharing and Protection Act, or CISPA would obliterate any semblance of online privacy in the United States -- and provide a victory for content owners who were shell-shocked by the unprecedented outpouring of activism in opposition to SOPA and Internet censorship. SOPA was pushed as a remedy to the supposed economic threat of online piracy -- but economic fear-mongering didn't quite do the trick, so those concerned about copyright are engaging in sleight of hand, appending their legislation to a bill that most Americans will assume is about keeping them safe from bad guys. This so-called cyber security bill aims to prevent theft of "government information" and "intellectual property" and could let ISPs block your access to websites -- or the whole Internet. CISPA also encourages companies to share information about you with the government and other corporations. That data could then be used for just about anything -- from prosecuting crimes to ad placements. And worst of all, CISPA supercedes all other online privacy protections. This is SOPA by another means. We want it killed. Un projet de loi, permettant de favoriser l'échange de données privées au nom de la cybersécurité, suscite les craintes des associations. There is a bill on POPVOX.com that I thought you would be interested in. Go to http://pvox.co/1SoVbO to have your voice be heard! Go to http://pvox.co/D0Cos0 to have your voice be heard! This group of companies is not immune to boycott, and they can be convinced to act in the public interest. Let's do this. This is what we feared. The copyright cartel, and their lapdogs on capitol hill are bringing back SOPA by other means. It is wrapped in the cybersecurity bills, and this time it is worse. CISPA would allow the corporatists to conduct takedowns and privacy invasions on their own, without government oversight. They would be protected from legal claims based on these actions. We must stop this! This portents a big fight. It is an outrage that lawmakers, sworn to defend the Constitution, are ready to give away our civil liberties for something called cybersecurity. We cannot let this happen. We can never let this happen. Join the fight for Internet freedom. We stopped SOPA, and we can stop CISPA. We can stop the companion bills as well!